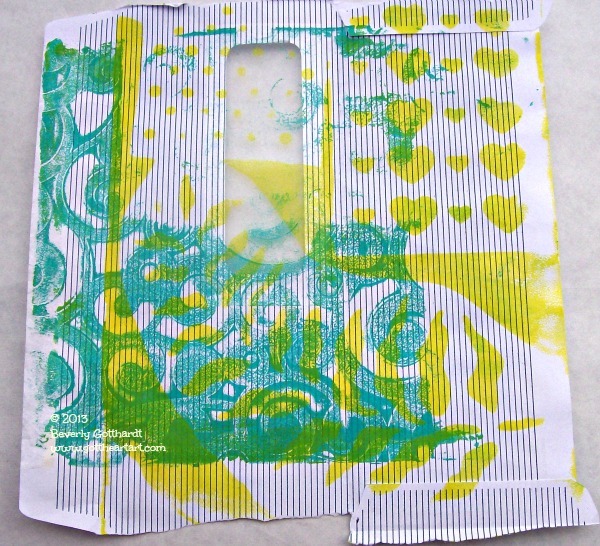 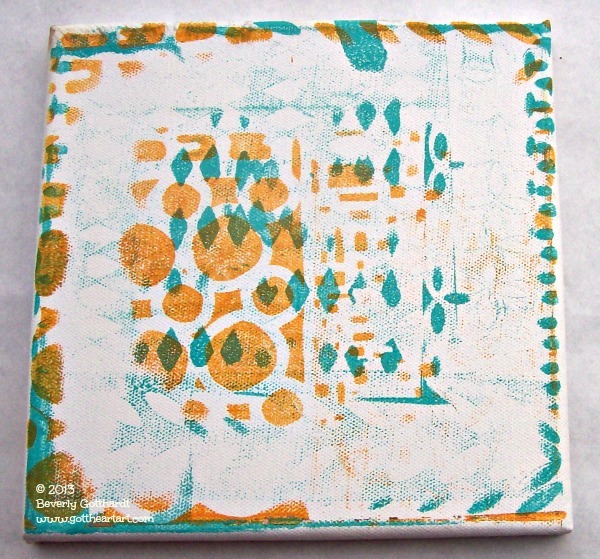 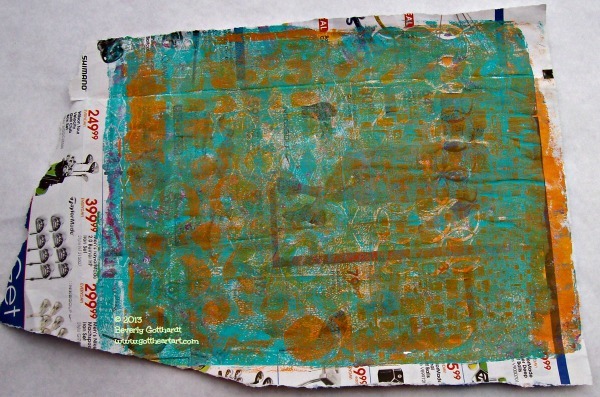 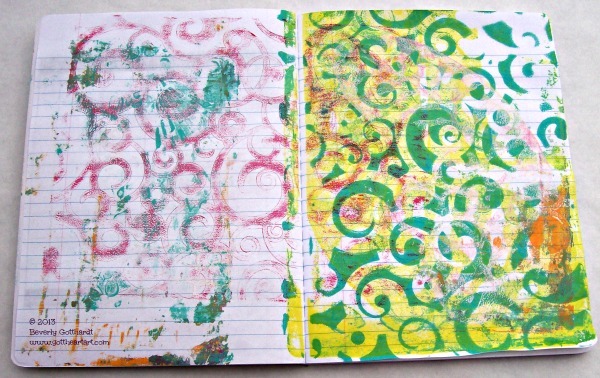 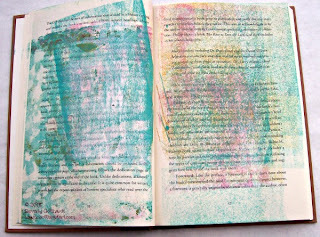 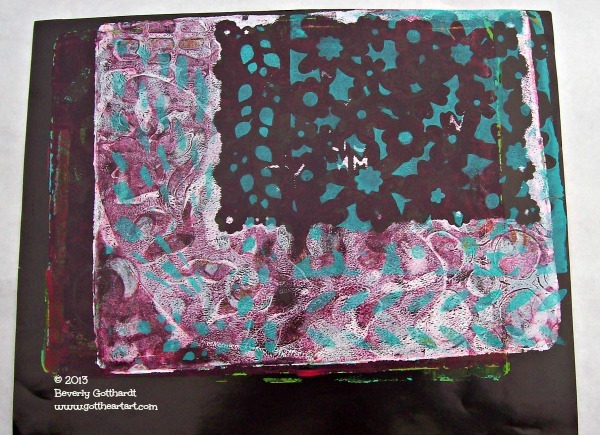 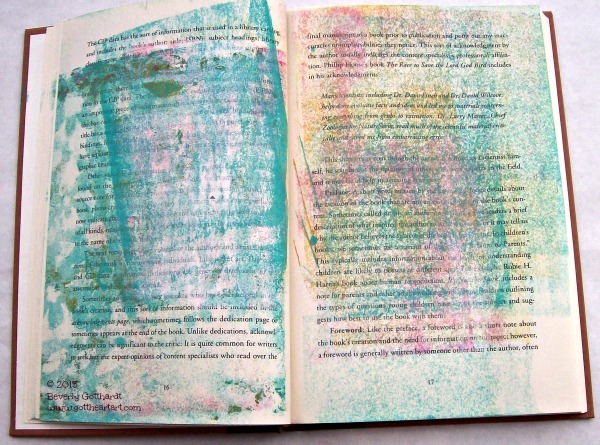 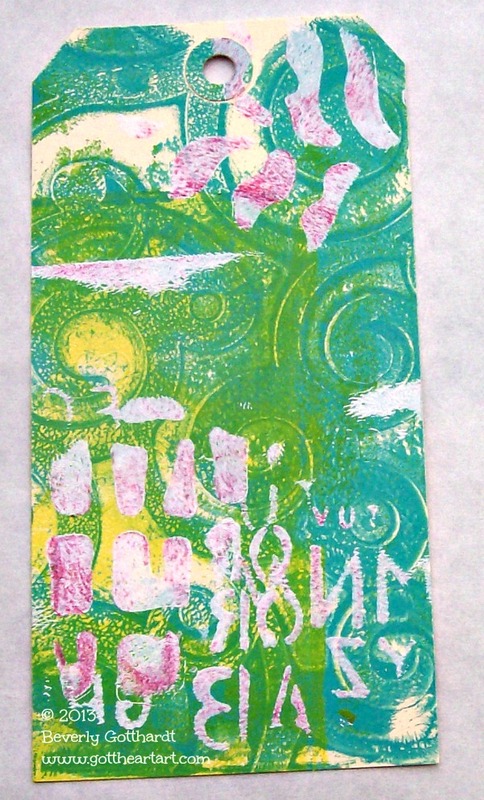 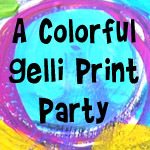 I have signed up for the Gelli Printing Workshop at Carolyn Dube Art Workshops. 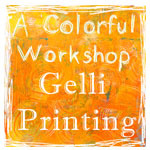 It started Monday and I'm determined to participate in this workshop as it goes along. 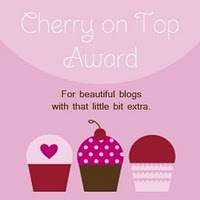 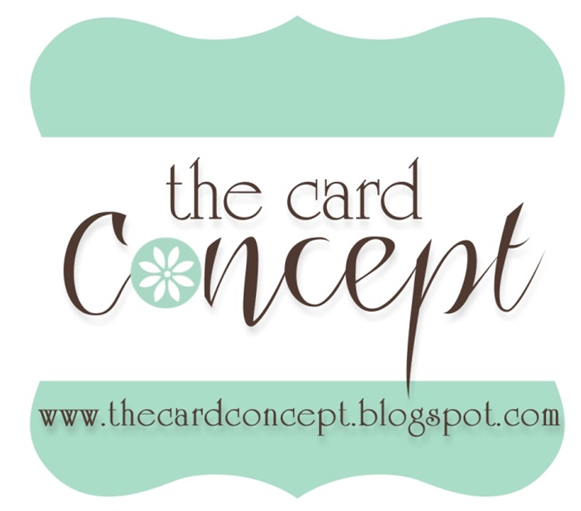 You can click on the icon on my sidebar to go to Carolyn's website and get more details on the workshop. 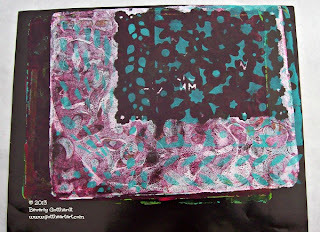 The following pictures are my first creations for Class 1. 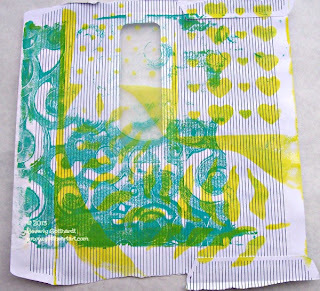 Carolyn showed us different papers and paints we could use and a few ways to use stencils. 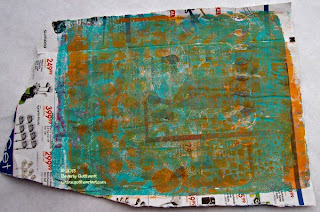 I chose 9 pieces to use for Class 1: a piece of junk mail, a manilla tag, a thin piece of paper, a torn newspaper ad, the inside of a junk mail envelop, a piece of paper from one of my stencil packages that has the consistency of a gift bag, an 8" X 8" canvas, a composition notebook, and a used hard back book that I got for $1 I used it to clean off my brayer, I didn't take a picture of it but I also used an old phone book to clean off my brayer also. 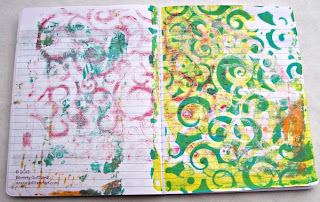 The next class is Wednesday. 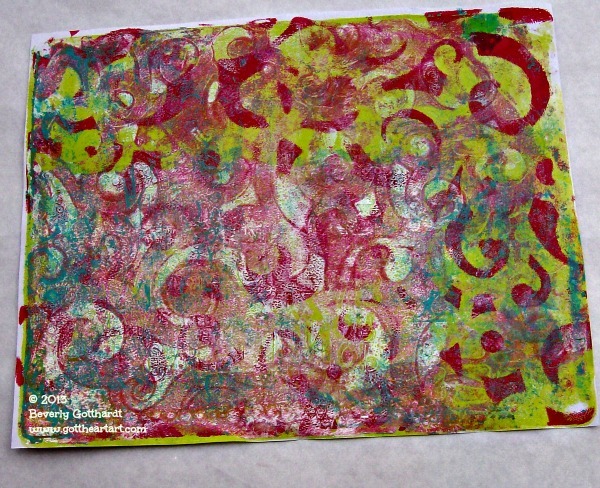 I'm really enjoying learning how to make all kinds of prints on all kinds of things. 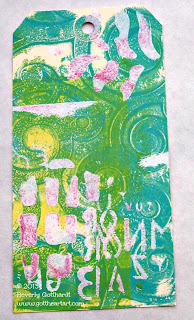 Carolyn has also printed on a pair of canvas shoes and a plain white shirt.